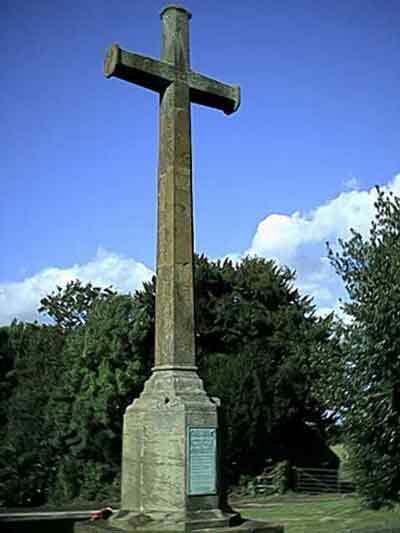 The late Bob Foster took 5 years to research the names on the Snitterfield War Memorial. There are about 150 names on the Roll of Honour for the First World War in the Village Hall. They served in a wide variety of places including Mesopotamia, Gallipoli, and of course the Western Front in France and Belgium. To give you a hint of the variety of experience they gathered, Bob gives below a very brief description of those who died. The list follows the way they are listed on the memorial, with Officers first! A career soldier, he was born in Scotland, served in an Irish Regiment, and married a Lieutenant Colonel`s daughter who lived at Park House. Their daughter was christened in Snitterfield . He served with great distinction on the Western Front and was killed at the Battle for Guillemont in September 1916. He lived at Old House Farm, Heath End and served with the Warwickshire Yeomanry in both the Boer War and in the Great War. He was killed during a famous cavalry charge at Huj in Gaza. He was a local J.P. , married, and left three young boys. The son of the Vicar he was a schoolmaster in Malvern and enlisted in September 1914. After serving with the Kings Liverpool regiment on the Western Front he transferred to the King`s African Rifles and was killed in Mozambique in 1918. A Winchester schoolboy, his parents lived at Park House. He went straight from school into the forces and became a pilot with the Royal Flying Corps. He served during the Battle of the Somme and was tragically killed in a mid air collision whilst a flying instructor in Lincolnshire. Went to school in Snitterfield and became a regular soldier with the Royal Warwickshires. Served in India and arrived on the Western Front in October 1914. He was killed defending Ypres in 1915 and he is commemorated on the Menin gate. Lived on The Green and went to the local school. There is some evidence that he served in the army under an assumed name in the Army Service Corps. He was wounded in France and died in hospital in Shropshire. He is buried in Snitterfield. Joined the Royal Warwickshires and was heavily involved in the fighting on the Somme in 1916. He was killed in October 1918 whilst his battalion were pursuing the retreating enemy shortly before the end of the war. Born in North Wales he married a local girl and shortly afterwards volunteered. After serving in France he went to serve in Gaza and Jordan. He died of malaria whilst there and is buried in Cairo. Went to school in Snitterfield and served with the Somerset Light Infantry. He saw action on the Somme and near Ypres. He was killed near Monchy le Preux in August 1918. The first soldier from Snitterfield to die in the war he was aged only 21. He was from a local family and went to Snitterfield school. He volunteered on the outbreak of war and arrived in France in October 1914. Was killed at the battle of Neuve Chappelle in March 1915 whilst serving with the Seaforth Highlanders. He worked on his father`s poultry farm on King`s Lane and was called up in 1917. He was drafted to France in April 1918 in the Royal Warwicks and was killed 6 months later near Grevillers. Went to Snitterfield School and volunteered in August 1915, shortly before getting married in Loxley. He served and saw action on the Somme and was killed at the Battle of Arras in May 1917. A married man he volunteered early in 1915. Served on the Western Front with the Warwickshire Regiment until he was killed in October 1915. He is commemorated on the Thiepval memorial in the Somme. Lived at Orchard Cottage near the church. Was enlisted in 1917 and joined the Royal Warwicks on the Western Front. Was killed by a stray shell near Ypres, leaving a wife and young son. Cousin of Oscar, he worked with his father in the family hurdle and hoop making business. He joined the Cheshire regiment in 1917 and was killed during the Battle of Messines Ridge later that year. He served with the Warwickshire Yeomanry in the Middle East and then they were formed into a Machine Gun Corps to fight in France in 1918. In the autumn of that year they were advancing quickly after the retreating Germans and he was killed during this action only one month before the Armistice. Went to school in Snitterfield and then worked in the gardens at Welcombe House. He was called up in 1918 and was killed near Ypres in September aged only 19. Was working in a bakery in Leamington when he was called up and he saw action in the Somme before his battalion joined in the battle for Passchendaele in August 1917. He was killed during an attack on German positions north east of Ypres. I have little hard information about this man but I believe he was in the Warwickshire Yeomanry serving in Gaza and then dying in France in 1918. He may actually have been Albert Owen. Lived on The Green and went to the local school. He enlisted in 1915 and joined the Coldstream Guards. He saw a lot of action on the Western Front and died of wounds received in September 1918. Lived at Well Cottage on The Green. He joined the Border Regiment in 1916 and he died from wounds received in the big German attack on the Western Front in April 1918. He is buried in Snitterfield. Lived in Park Lane and went to the local school. He was killed in the Battle of Arras in April 1917 whilst fighting with the Royal Warwickshires. Brother of Harry he joined the Royal Warwicks in 1915. Lost his life during the Battle of Passchendaele in October 1917. Both the brothers left wives. Born at Red Hill farm he emigrated to Canada but volunteered as soon as war was declared. He arrived in France in April 1915 and was killed only 3 weeks later during the Battle of Festubert. Another man who emigrated to Canada. He returned to fight with a Canadian Machine Gun Company in June 1916. He was wounded a year later, spending time in hospitals. Visited his family in Ingon Lane whilst on leave in November 1917. He was killed accidentally in his barracks only a couple of weeks after his return to the front. One of 4 brothers who volunteered in 1915. he served near Loos and then joined in the Battle of the Somme. He was killed during an attack in mid August 1916. Served with the Leicester Regiment on the Western Front. He was killed in June 1916 probably by an artillery shell whilst digging trenches in preparation for the Battle of the Somme. Lived at Black Hill and worked on one of the local farms before volunteering in 1941. He served in North Africa and was killed there in June 1942. Went to the village school and then married, living on The Green. They had two sons before he was called up in 1941. He served with the Durham Light Infantry in Cyprus and Iraq before being involved in fighting in North Africa. He was killed in October 1942 shortly before the Battle of El Alamein. He went to school in the village and then worked at Pearce`s Confectioners in Stratford. Was called up in 1942 and was unfortunately killed in a motorcycle accident during training. He was aged only 18. He was one of 11 children and lived at Lower Welcombe farm. Was called up in 1942 and served in Tunisia before taking part in the Salerno landings in Italy in September 1943. They then advance to support the Anzio bridgehead and he was killed in the fighting there in March 1943, aged 21. A keen Boy Scout he was called up in 1939 and served in the UK until they were called upon to support the D-Day landings in June 1944. Advancing through Normandy Cyril died of wounds received in the fighting south of Caen. He is buried in Snitterfield. Was brought up in the Village Stores and went to KES in Stratford. Volunteered for the RAF in 1938. After training in Canada he took part in a glider crossing of the Rhine in March 1945. He was killed as the glider approached the landing zone. He lived with his family in Park Lane and was called up in 1942. he served in the far east and was involved in the fighting in Burma. He was killed near Rangoon only a couple of weeks before the end of the war, aged 23.